I’ve been playing a lot of Divinity: Original Sin, the old school-ish role-playing game that offers a myriad of ways to accidentally immolate your own party with a misplaced fireball spell. It’s pretty great and the intro sequence reminds you every time you boot it up that the game was funded on Kickstarter. If you’re not familiar with Kickstarter.com, it’s a crowdsourcing website that lets would-be creators present a sales pitch and fundraising drive for their project. People can then donate as much money as they want in order to help a project reach its goals, and they typically receive some kind of reward based on how much they donate. 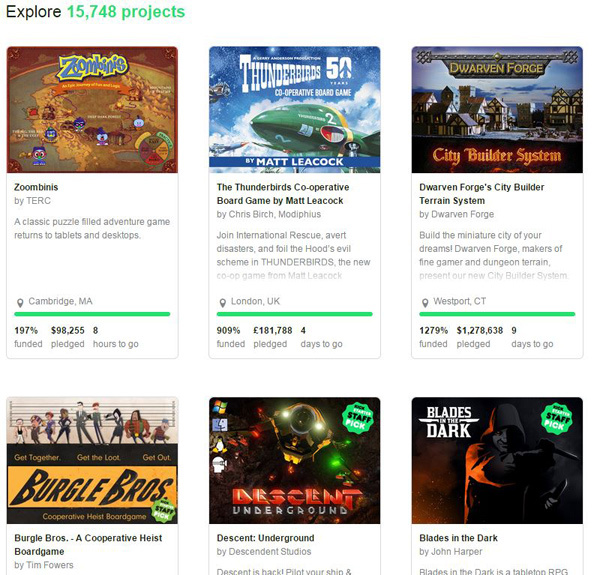 Kickstarter covers all kinds of projects, and for some studios it offers a fundamentally new way to pay for game development –if you can convince enough people to cough up enough money. This isn’t always easy. 15,748 active projects. Not everyone is going to get my money. There are, at any given moment, thousands of Kickstarter game projects in the throes (or wimpers) of fundraising. Some are more successful and others and range from laughably amateurish to slick and professional looking. This got me thinking about some of the the psychology involved with successful Kickstarter video game pitches. In this article I’ll toss three ideas that may help you if you’re trying to create a Kickstarter pitch of your own. The same principles will also apply to other fundraising sights like Patreon or Indiegogo. He then asked them to write a few sentences about that person’s character and personality in general. You’ve probably noticed that bost lists of adjectives are identical, save for the order of the words. If not, please do so now. In the first group, generally positive words like “intelligent” and “industrious” are listed first, then negative ones like “stubborn” and “envious” come last. The order is reversed in the second group, with negative words first and positive ones last. Asch found that people who saw positive words first were much more likely to report positive impressions of the person than were those in the second group. This despite the fact that the descriptors were same. You might have started to do the same, even with the benefit of seeing both lists so close together. First impressions matter, and they can even color our interpretation of ambiguous information we get later on. For example, the use of an ambiguous descriptor like “critical” to form judgments about someone might elicit thoughts of being self-conscious of their own mistakes or demanding a high standard of performance if you started with a positive impression. But it may make you think of someone who is insensitive and harsh towards others if you started with a negative impression. Um, yeah. No. I’m not going to help the top 2/3 of your head raise $10,000 if this is the kind of thing I can expect. I think it’s safe to say that the halo effect can have massive implications for how someone evaluates a Kickstarter pitch page. The pitch video is probably the biggest reason. It’s the biggest element you see and probably the first you focus on. If the video is well produced and the person in it looks professional, the pitch will benefit from the halo effect, as positive impressions will color subsequent judgements in the face of uncertainty. Likewise, if the video looks like someone just propped their iPhone up on the desk in their bedroom without even tidying up a bit, their pitch will suffer for the same reasons. The first impression you form based on the pitch video will also shape how likely you think the project is to reach completion, how good the end product will be, and how valuable the backer rewards are. The second element of a Kickstarter pitch page that I suspect most people notice is the collection of stats about number of backers and how much money they’ve pledged. This information is critically important in the first days of a campaign, as it can mean the difference between a trickle that never reaches its goal and a flood that blows past it. Because if we’re browsing Kickstarter projects, we’re probably more likely to back those that we see others backing, especially early on. To see how, look at a 2006 study by Matthew Salganik, Peter Dodds, and Duncan Watts.3 The researchers set up an artificial market where over 14,000 people could visit a website to listen to, rate, and download songs by artists they had never heard before. 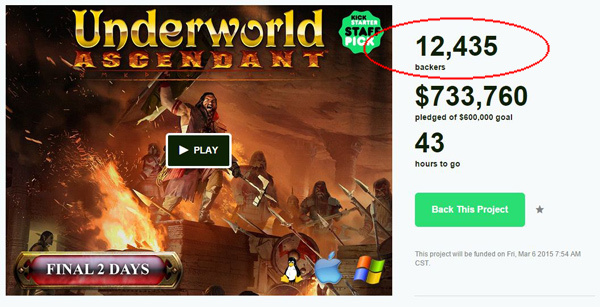 12,435 backers? They can’t all be wrong, right? Some of the subjects had no information about what other people were doing –no download counts for songs, no 1 to 5 star ratings available. Let’s call them the control condition. Others, however, did have that kind of social information about songs. The researchers then set up 8 separate “worlds” in this way and let the ratings and download counts for each grow organically. They found that having this social information about a given song influenced how popular or unpopular it would become. They could even create even bigger hits and more spectacular duds by providing “Top 50 Downloads” and “What’s Hot” lists. The ultimate success of a song depended on early ratings, such that one song could break out on one “world” while it flopped on a second, depending on luck early on as much as the appeal of the song. This is because, the researchers argue, people looked to social information like download counts and ratings as a quick heuristic for deciding not only whether or not to check a song, but also to determine if it was good or not. Those that broke out were more likely to be noticed, which increased their download counts and ratings, and the effect snowballed from there. This didn’t happen as much in the control conditions. Huh. 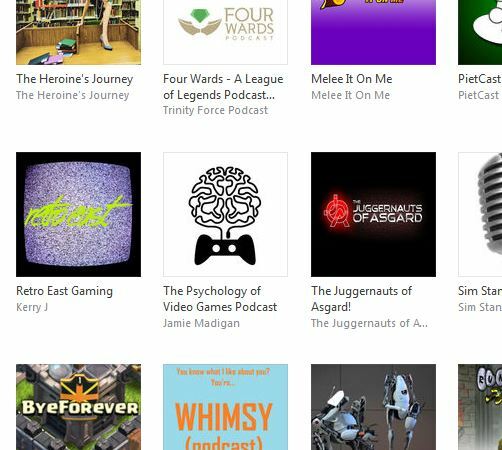 The Psychology of Games Podcast is on the iTunes list of “New & Noteworthy.” That’s a weird thing to inject into this discussion, isn’t it? Oh well. I imagine this could happen with Kickstarter, too. Scrolling through the pages of video game Kickstarer pitches I’m more likely to click through to ones that have already had some donations. And while looking at a specific pitch, I’m more likely to jump to a conclusion if it has no backers or a ton of backers. If you’re trying to get a Kickstarter going, it pays to get any existing fans to take action as early as possible. Kickstarter’s “Staff Pick” badges also do the same thing. This feature of social proof means it’s probably better to have many, many backers each paying a small amount than it is to have a few backers paying enormous amounts. People will see the higher number of backers and be more likely to check it out and back it themselves. 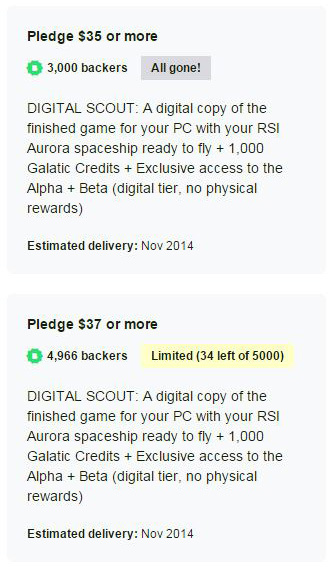 So don’t skimp on the rewards for $5 or $10 backers in favor of the $50 and $1,000 ones. I’ve written about this so many times already I won’t dwell on it, but remember that we hate to lose options to get something once we think we have them. 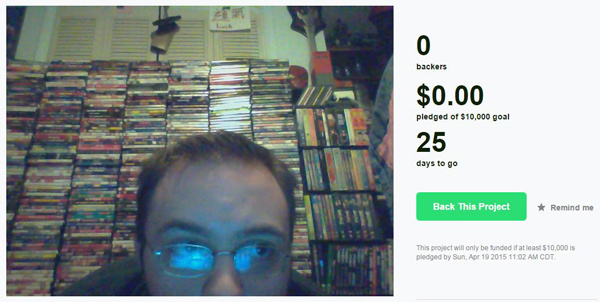 This is why those limited availability backer rewards that say something like “34 left out of 1,000” can be so effective. Read this article about psychological reactance to get examples and a citation. I suspect very strongly that if you took two backer rewards at say the $20 level that were of equal value, you could get more people to go with one over the other if you imposed this kind of limited availability. Might be a good idea if one of them is easier or cheaper to fulfill than the other. 1. Asch, Solomon (1946). Forming Impressions of Personality, Journal of Abnormal and Social Psychology 41, 258-290. 2. For a review, see Eagjy, A., et al. (1991). What Is Beautiful Is Good , But . . .: A Meta-Anatytic Review of Research on the Physical Attractiveness Stereotype. Psychological Bulletin 110(1), 109–128. 3. Salganik, M., Dodds, P., and Watts, D. (2006). Experimental Study of Inequality and Unpredictability in an Artificial Cultural Market. Science, 311.